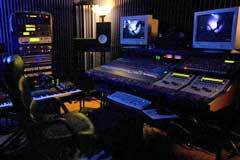 D. M. Gremlin Studios is a digital recording and mastering studio located in North Long Beach, CA. Our studio occupies a 2200-square foot commercial building. Our recording facilities include a 19' x 23' acoustically treated tracking room, separate control room, and additional vocal/isolation booth. Please find a more detailed overview of the studio and amenities here. 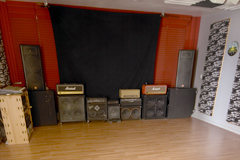 A small selection of our studio recordings can be found here. Information about our Studio Open House events, photography workshop series, and other community and special events can be found here. Please use the navigation bar above for more detailed information about our studio and services. Wendy Levin's career spans 21 years of experience in the audio engineering profession. She carries forward a foundation in traditional analog recording, and applies this range of skills to modern digital recording, editing, and mastering. .She is a musician, composer/arranger, songwriter, and producer, holds a Bachelor's Degree in Commercial Music, and approaches engineering from both the musical and technical perspectives. As a musician, producer, and engineer, she is well-versed in musical styles ranging from hard rock to pop, jazz, fusion, funk, R&B, hiphop, rap, and synth/electronica, and more. Wendy has been a Voting Member of The Recording Academy (The Grammys) since 2006. Wendy has worked at world-class studios such as Tommy Tedesco Studios (Hollywood, CA) and the studio of Michael Brooks/Real World Records (Los Angeles, CA). Early in her career, she was recruited by the renowned Recording Institute of Technology (RIT) in Hollywood as a staff engineer and instructor. She established her credentials working as first and second engineer on numerous record releases by top-echelon musicians including Journey drummer Steve Smith, Grammy-winning bass player Victor Wooten, drumming pioneer Dennis Chambers, fusion icons Tribal Tech, and virtuosi such as drummer Virgil Donati, drummer Ray Luzier (Korn), bassist Stuart Hamm, guitarist Frank Gambale, and guitarist Mike Kenneally (Frank Zappa; Dethclok). 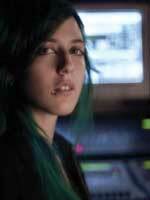 In 2005, Wendy took herself "back to school" to pursue training in the exacting specialty of audio mastering. She trained with the team of Grammy Award-winning engineers at Airshow Mastering (Boulder, CO), including David Glasser and Dominick Maita. And just as in the areas of tracking and mixing, she has brought her "big studio" experience and skills to bear here at D. M. Gremlin Studios. Her recent recording and mastering clients include Jelly of the Month Club (Bud Gaugh and Todd Forman of Sublime), Randy Bradbury (Pennywise), Greg Ginn (Black Flag/SST Records), Long Beach Records US/Europe/Australia, and independent bands and artists from Southern California, the greater United States, Europe and Asia. In addition to working with the musical elite, Wendy has always been a teacher, guiding and fostering the growth of artists experiencing their first and ongoing recording sessions. And as a producer, she combines her full range of musical and technical skills into a powerful creative force to bring out the best in every artist's recording, from seasoned professionals to independent artists, students, and studio first-timers.